We are fortunate to have some early sketches of our beautiful Church. The first is not dated, but it is believed this is the earlier of the two sketches. The second is dated September 1843 - note the stairway on the outside of the porch which is no longer present. 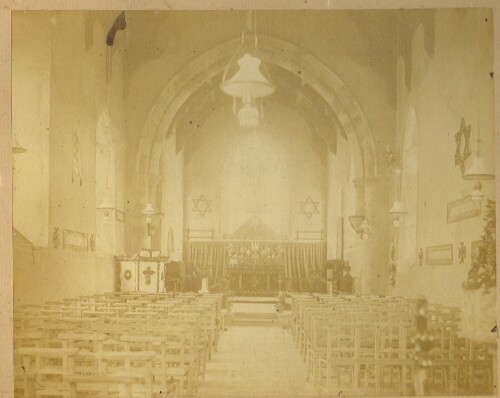 Inside of Church probably about 1880.